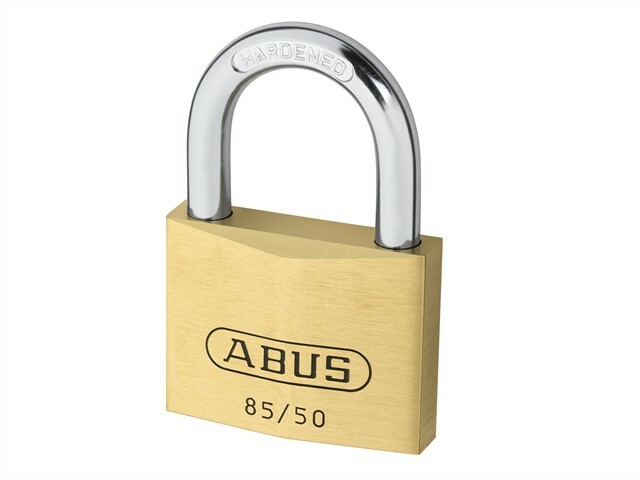 The ABUS 85 Series Brass Padlocks have a soild brass lock body and high quality, rust-free inner components. Fitted with a hardened steel shackle; double bolted with NANO PROTECT™ shackle coating, 30mm and above. The precision pin cylinder features anti-pick mushroom pins and a paracentric keyway for increased protection against manipulation. Automatic locking, the padlock can be locked with a key, just push down the shackle. Ideal for securing a wide range of objects. Sizes 20-40mm: for securing valuables/goods of medium value or at an average risk of theft. Sizes 50-70mm: for securing valuables/goods of greater value or at a high risk of theft.